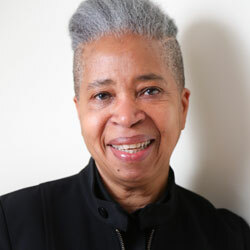 Dionne Brand was born in Trinidad and is a poet, novelist, non-fiction writer, filmmaker, educator, and activist. She has written 10 previous books of poetry, and is a winner of the Governor General’s Award, the Trillium Book Award, the Pat Lowther Memorial Award, and a past winner of the Griffin Poetry Prize. She was Toronto’s third Poet Laureate from 2009-2012. In 2017 she was named to the Order of Canada. Brand is a Professor in the School of English and Theatre Studies at the University of Guelph. She lives in Toronto. M sent me a photograph by Daguerre. It is of the first human being to be photographed. Someone is cleaning the shoes of someone. All descriptions of the photograph claim that the first human being to be photographed is the figure having his shoes cleaned. I see first the figure cleaning the shoes as the photograph’s subject. Secondly, the event of the shoe-cleaning. From this immediately I saw the state of the world. The following are links to other Web sites with information about poet Dionne Brand. 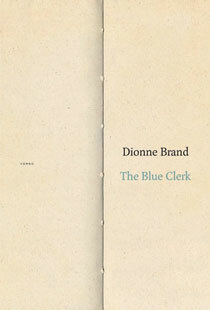 Have you read The Blue Clerk by Dionne Brand? Add your comments to this page and let us know what you think.